Welcome to the long dark days of winter. The snow finally melted off here in Boulder and bouldering outside is once more an option. Not that I have been doing much of that. A couple of weeks off due to weather and various illnesses and suddenly my Christmas break was over. Before Christmas, I felt as though my training was going quite well and now I am trying to recover that standard, little by little. I have very nice simple but effective training set-up in my basement which has been very helpful in focusing on my fingers and core strength. 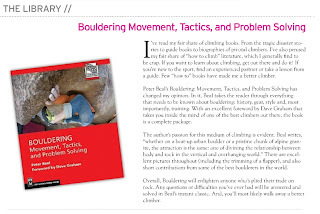 I am trying to get sufficiently in shape to start heading up to RMNP in March to start working Element of Surprise as I think early spring is the most feasible time to try this problem. There are many lower projects closer to town I have in mind as well and not all of them at Flagstaff either. I see this year as a time to consolidate my strength and knowledge in an attempt to reach the V13 level, a goal that feels a bit unlikely given my age and free time. Nevertheless, I feel as though I am as strong as I have ever been. Unlike many other bloggers, I will not be delivering my views on the climbing year that was other than to say that everyone is playing for second place when compared to Adam Ondra. 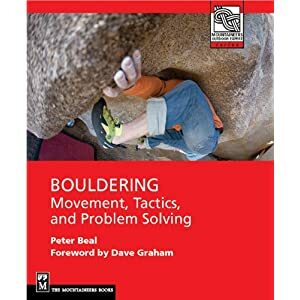 He simply had a phenomenal year and clearly is poised to achieve things that will reset our expectations of what sport climbing and bouldering will look like in coming decades. It will be very interesting to see who, if anyone, can rise to this standard, especially in the USA. 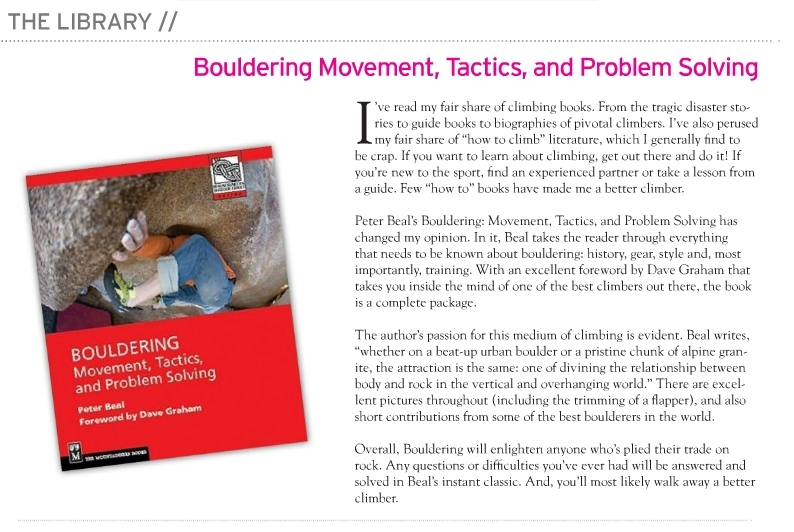 The bouldering book has been doing well receiving a couple of great reviews recently from Climberism and Deadpoint Magazine.It has stayed consistently high in the "Rock Climbing" category at Amazon as well. Can You Afford to be Sponsored?